Not announced during Tuesday's packed keynote was Apple's apparent discontinuation of the (Product)Red iPhone 7, as well as a price increase for high-capacity iPad Pro models. The change in availability can be seen on Apple's digital storefront, which no longer lists the (Product)Red iPhone 7 as a finish option for purchase. Instead, users are limited to Jet Black, black, silver, gold and rose gold. 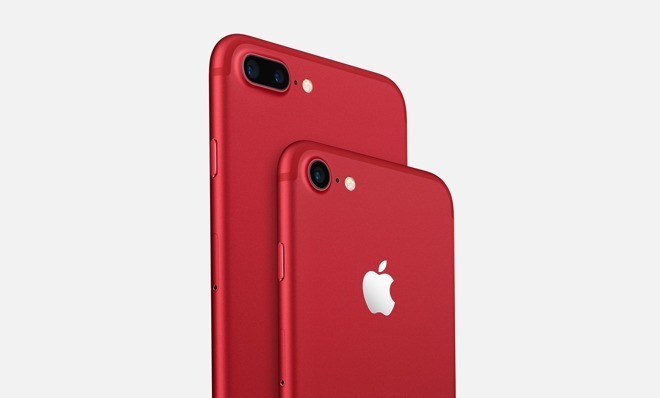 Introduced in March in partnership with (Red), sales of the (Product)Red iPhone 7 series helped support HIV/AIDS programs that provide counseling, testing, and medicine that prevent the transmission of HIV from a mother to her unborn child. Marketed as a special edition, the phone itself was offered with 128 and 256 gigabytes of storage and started at $749 for the 4.7-inch iPhone 7. The larger 5.5-inch iPhone 7 Plus came in at $869. While the internal components were identical to other iPhone 7 series devices, the (Red) unit featured a red anodized aluminum chassises with a silver Apple logo. As for iPad Pro, Apple quietly upped the price of all 256GB and 512GB models by $50. The company did not provide an explanation, but rising memory costs are likely to blame for the price hike. Prior to today, the 10.5-inch iPad with Wi-Fi and 256GB of storage ran $749, while the 512GB version came in at $949. Those models now sell for $799 and $999 on Apple's website. Similarly, the 12.9-inch iPad Pro with Wi-Fi, which previously carried pricing of $899 and $1,099 for 256GB and 512GB of storage, respectively, are now at $949 and $1,149. Both Wi-Fi and Wi-Fi + Cellular iPad Pro models are affected by the price increase. 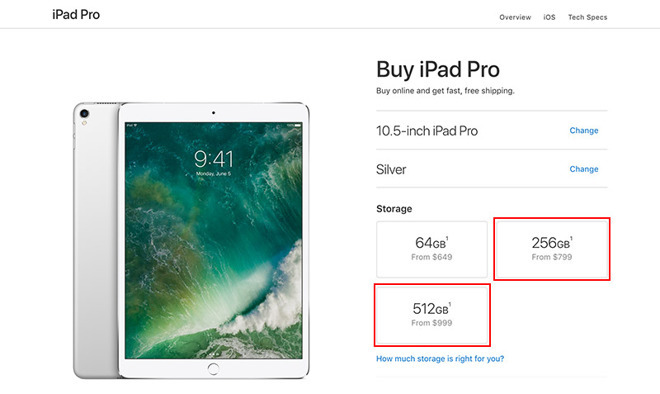 However, according to the AppleInsider Price Guide, select Apple authorized resellers have not yet raised prices on the 256GB and 512GB iPad Pros. Adorama, Abt Electronics and MacMall, for instance, are offering instant discounts with prices starting at $699 with free shipping. Adorama will not collect sales tax on orders shipped outside NY and NJ, while Abt collects sales tax in IL, IN, WI and MI. MacMall collects sales tax in all applicable states. Top picks can be found below, while a full list of deals can be found in the iPad Pro Price Guide. * Adorama will not collect sales tax outside NY & NJ.